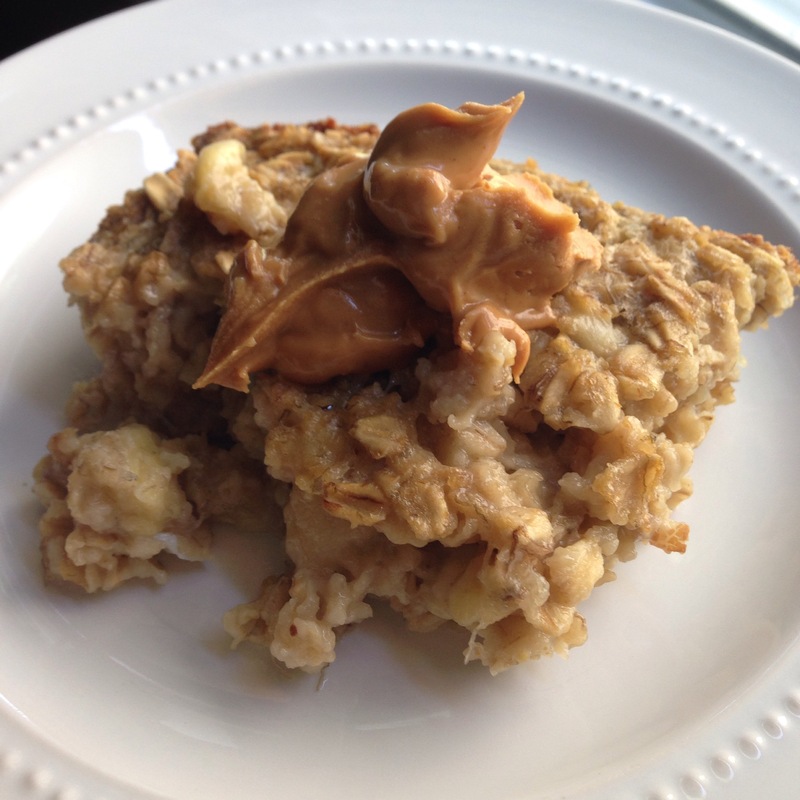 Banana Oatmeal Bars – A Healthy Dose of…. I had some extra (really) ripe bananas sitting around this morning and I was looking for a good, healthy recipe. I found THIS recipe from Southern In Law’s website. The it was very simple, easy and DELICIOUS. My whole family loved it and it will last us a few days!!!! I am planning on making the next “loaf” or pan with my next bananas for the next school year. I am going to cut them up, throw them into separate baggies and put them in the freezer. The school year gets very busy for us and this was a perfect recipe to use as a quick breakfast or as a snack. I added a little Peanut Butter to the top of my warm slice but it would be great topped with honey, syrup or jelly!